I want to extend my thanks to Medieval Otaku of Aquila et Infans for nominating Lady Blade Blog for the Versatile Blogger Award. Be sure to check out their site as he and his partner in crime have interesting posts on writers and writing. Thank the person who gave you this award. That’s common courtesy. Include a link to their blog. That’s also common courtesy — if you can figure out how to do it. Nominate those 15 bloggers for the Versatile Blogger Award — you might include a link to this site. Finally, tell the person who nominated you 7 things about yourself. 1. 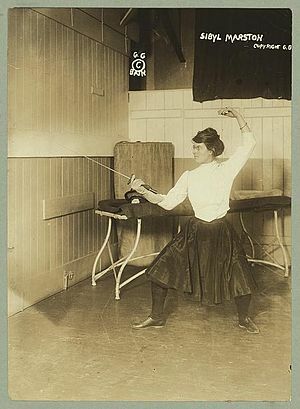 I was a competitive sport fencer for over ten years. It’s been a number of years since I wielded my foil, but I always play around with the idea of going back to it. Some day. The fencing Maestro in Lady Blade is based on my own fencing Maestro, John DeCesare. 4. Tom and I recently did our first Kickstarter. It was a great success, we reached well over 200% of the funding we asked for. I have a degree in art and I drew a map of Silicon Valley done in Lord of the Rings style. You can see the Kickstarter here – including a video of Tom and me talking about the project. (We both hate seeing ourselves on film!) The map is now on sale on our website, Urban Realms and on Amazon. Currently I’m working on a map of Columbus Ohio for one of our backers, and we’ve got a new Kickstarter in the works. I’m not saying what that is since I don’t want to jinx it. Lots of excitement going on! My new company, Urban Realms is on-line and already making sales of our Silidor Valley map. 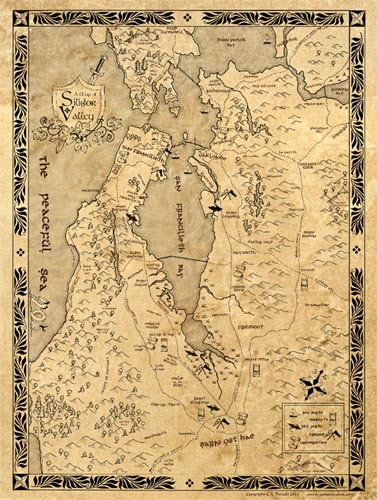 If you haven’t seen it yet, it’s a map of the San Francisco Bay Area done in Hobbit style. And to celebrate the opening of the Hobbit movie, I’m putting the maps and screensavers on sale. So stop by and pick up a map for the Hobbit lover in your life. I’ve also been busy taking my map around to bookstores and gaming stores, and one of them has asked me to do a signing. Corner of 2nd St. & Depot St.
Booksmart is now carrying, not only our map of Silidor Valley, but also my first book, Quest of the Faes which I wrote and illustrated at the age of 18. 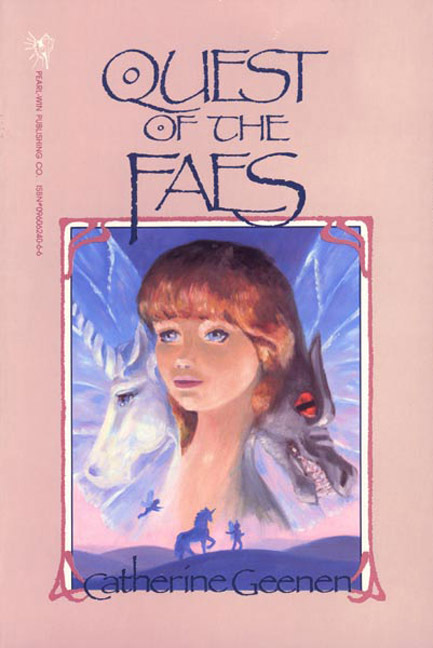 It’s a fantasy novel for children in the middle grades. I’ll have the original illustrations along too. I’ll also be handing out free copies of my short story, My Brave Girl. 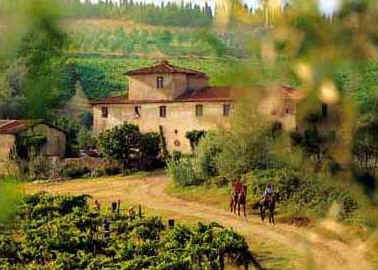 Which is the story of my main character, Francesca DiCeasare’s birth. And because I’m just that sort of writer, it takes place during a pirate battle. Great news this morning. What a nice way to start a hectic day! Chanticleer Book Reviews sponsors the Chaucer Awards for Historical Fiction along with contests in a number of other genres. They just published their list of finalists this morning and yours truly was on it. Yippee! Winners will be announced Nov, 30th. It is the story of the daughter of an Italian Fencing Maestro who is forced to serve aboard a pirate ship. So, how do you stuff a 600 page (double spaced) book into a 120 page screenplay? Seriously, I’d like to know, ’cause I’m having a hell of a time. Okay, so I do have some ideas. I originally wrote Lady Blade as a screenplay so I have the original work to start from, But in the five years I spent writing the book the story has changed quite a bit. There are a ton more characters, lots more difficulties for my main character Francesca to overcome, more subtleties and subplots. I know I have to let them all go, but it hurts. So I’m saying goodbye to Willy Brown, the orphaned 16-year-old son-of-a-gun (or son of a woman who worked the docks) who trained Francesca in her topman duties – working the lines and sails above deck on the ship. And who Francesca saves when he’s going to be strung up for stealing from another pirate. Sayonara to Tuit, the tattooed islander who takes the “bad luck” off Francesca in a moonlight ritual. And goodbye to the ritual too. Farewell to Mr. Hart, the ex-navy sailing master who refers to Francesca as Mr. DiCesare because he doesn’t approve of women aboard ship. And to Old Nob, the ageless, leathered leader of her messmates who scurries through the rigging like a squirrel. Creating them was a joy. Losing them is painful. But it’s not like they’re going away for good. They’ll still be there in the book. I can always go back and visit. And I do like that the process of adapting the story back to the screen makes me really focus on what’s important. Well, in the two weeks that my short story has been up on Wattpad it’s already gotten over 60 reads! Great news. It also got 4 votes, although I don’t really understand what the voting is all about. Still, I’ll take it. I’ve put another piece of Francesca’s story on Booksie and Watpad to read for free. This is the story of Francesca’s birth and of course, me being who I am, it happens during a pirate attack. As if a ship full of Barbary Corsairs wasn’t enough for her father to deal with, I throw in a very pregnant wife and a mother with a broken hip. I am just so mean! The story is called My Brave Girl. I’m not exactly sure what I’m going to do with this. I think it will either be a prologue for Lady Blade or it will be the first chapter of the prequel to Lady Blade. Either way, I really like it and couldn’t wait to share it with people. Thurio DiCesare, the world-famous fencing maestro, felt his heart beat a staccato rhythm as he hurried toward his mother’s house. Chaos filled the narrow, cobbled streets packed with horse-drawn carts. Men and women ran in and out of houses piling wagons with belongings. Children wailed. Men driving carriages cursed as they tried to squeeze between other vehicles and became wedged, bringing traffic to a standstill. Voices rose, fist fights broke out. Fools, thought Thurio. Their avarice will doom them. If they left their belongings and fled they might have a chance. Two women appeared at the top of the stairs, their faces pale. Thurio reached his wife Mary and took her in his arms, relieved that she and their unborn child were safe for the moment. He buried his dark face in her red hair and breathed in her earthy scent. She pressed away and looked up at him with spring green eyes. “What is it this time, my love,” she said. “Is the world ending yet again?” There was bravado in her light tone, but the narrowing of her eyes meant she was frightened and her heart pounded. The Scottish accent to her Italian words reassured him as nothing else could. “Slavers,” hissed Mary, putting protective hands around her swollen belly. I saw this today and had to share. It is an article about Miss Sanders who taught a woman’s self-defense class around the 1900’s. They even have some nice pictures of her taking on a “villain” with her parasol. Early on in my historical fiction novel LADY BLADE Francesca, who’s trained in fencing, takes on three rogues with only a wooden cane. For all those naysayers who say it could never happen, here you go. Personally, as a woman fencer for many years, I found my greatest asset in a mixed tournament was that men underestimated by abilities. It is a huge advantage that I exploited whenever I could. Not only because it helped me win, but it taught a lesson to those ready to dismiss women, and I savored that. I love being a writer. I love the opportunity to take something I’ve imagined and make it come to life on a page. I love getting into the hearts and minds of my characters and caring about what they care about. Creating people, places and situations is a little like playing God and who wouldn’t love that. What I don’t love – leaving my future as a writer in some stranger’s or strangers’ hands. I’m talking, of course, about waiting for the announcement of the winners of the next round of the Amazon Breakthrough Novel Competition. The winners won’t be posted until next Tuesday and I’m already nervous. This could be a huge break, one I’ve been working toward the last ten years. Or not. I know what you’re thinking, “yeah, like anyone likes to wait.” I get that, but there is a sense of helplessness that goes along with waiting for your fate to be decided – especially when you can’t argue your case or at least face your judges. At least if you’re sending your manuscript to an agent, with a little research you can put a face, a name, and some sense of character to the person that’s judging you. Am I whining? Yup. Sorry. Thanks for listening. It’s just the downside of the job that needs to be dealt with – hopefully without ulcers. At least next time I need to write an anxious and frustrated character I’ll have visceral experiences to draw on. A gigantic hug and galactic thanks to everyone who’s reviewed my first two chapters for the contest. Done whining, back to work. PS. If you have a few minutes to read and review the link is above. Got a few minutes to help a gal win a book deal? Oh, and $50,000. You’ve all been great! I’ve got 26 stellar reviews on my entry into the Amazon Breakthrough Novel Contest. Thank you so much! If even a quarter of what you’ve all said it true I did my job well. Currently there are 5 people with more reviews than me (one person has over 70! Can you believe it!) Since the next cutoff for the contest is the top 25 entries – and there are 5 categories – I’d love to be in the top five in the number of reviews in my category. 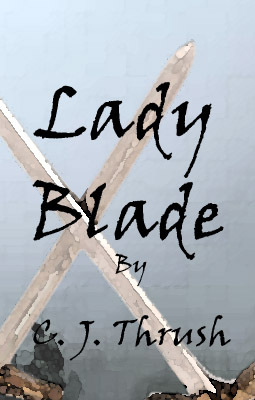 So if anyone one out there hasn’t done a review yet and has a few minutes to read the first two chapters of my historical fiction novel, Lady Blade, and do a review, I’d be over the moon. It doesn’t need to be a long, a few words is just fine. You can download the chapters free from Amazon for a Kindle. If you don’t have a Kindle you can also download a Kindle app for free to your computer or PDA. So if you haven’t already, please help me win $50,000 and a book deal, and I hope you’ll enjoy the read in the meantime. What’s it about you ask? Well, here is the pitch that got me this far in the contest. Francesca DiCesare is the daughter of Italy’s most illustrious fencing maestro – and his most gifted pupil. From the speed of a parry, to the power and grace of a perfect lunge, she sees the art of the sword as an elegant and electrifying dance. 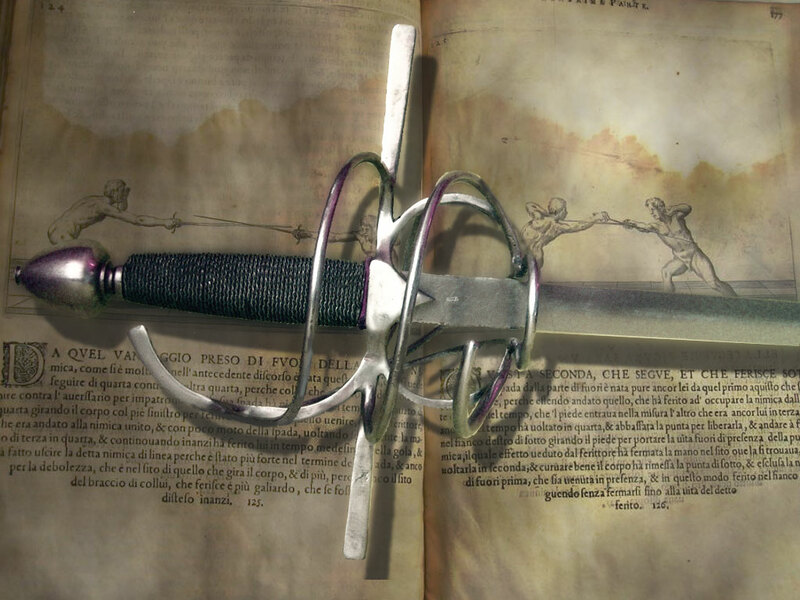 Francesca never thought of her sword as a weapon; not until the morning of Papa’s duel – not until Papa lay dying and his opponent lay dead by her hand. Forced to flee Italy or face the gallows, Francesca takes ship for England vowing to uphold Papa’s uncompromising code of honor. Francesca enjoys the sea’s ever-changing moods and thrills at the bucking deck and the snap and hum of the crisp white sails – until pirates attack from the starboard bow. She fights with all the skill Papa has given her, and eight pirates die by her sword before she’s taken captive by pirate captain Will Massey. 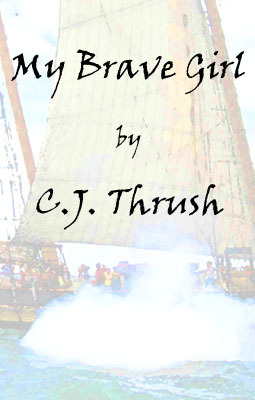 Forced to join Will’s crew as they raid the Spanish Main, Francesca is drawn into the pirates’ nefarious world, and to the bold and vital captain. As she makes friends with Carter, an orphaned ship’s boy, and Miller, a grizzled old pirate, she learns that life is seldom as black and white as Papa led her to believe, and that Papa was not the paragon of honor she thought him to be. Francesca’s swordsmanship earns her respect among the pirates and wins her the captain’s heart. To her horror, she discovers she adores being a pirate – not the killing, which flays her conscience day and night, but the freedom, and the thrill of adventure. Can she give up the man she loves and the life that she seems destined to live to keep her vow?